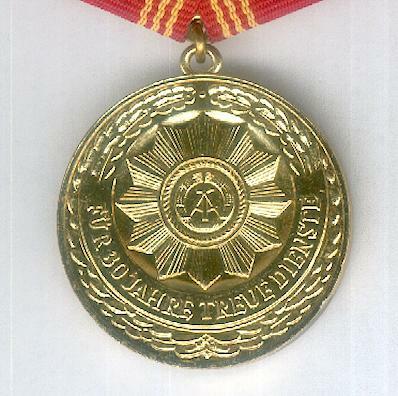 Circular gilt medal with loop for ribbon suspension; the face with a police star bearing the state coat of arms of the German Democratic Republic above a ribbon inscribed ‘FÜR 30 JAHRE TREUE DIENST’ (for 30 years’ faithful service), all within an oak wreath border; the reverse with the state coat of arms of the German Democratic Republic within a beaded border and oak wreath; on original ribbon and pentagonal hanger, mounted for wear; with ribbon bar with gilt police badge device and mounted for wear. 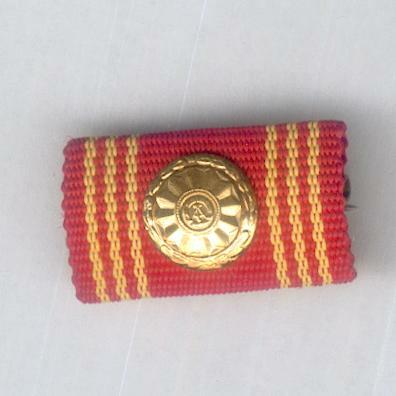 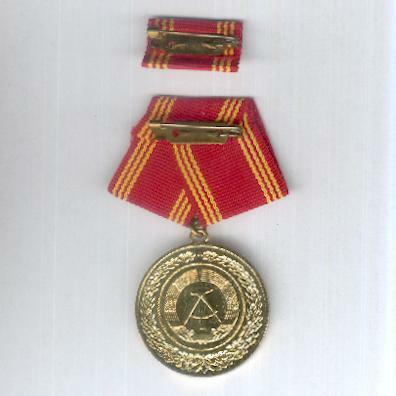 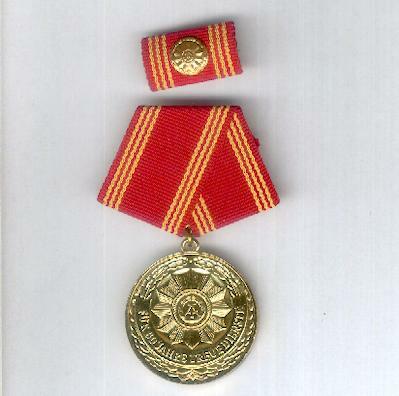 The medal was instituted on 22 January 1959 to reward faithful and blameless service in the armed service of the Ministry of the Interior. 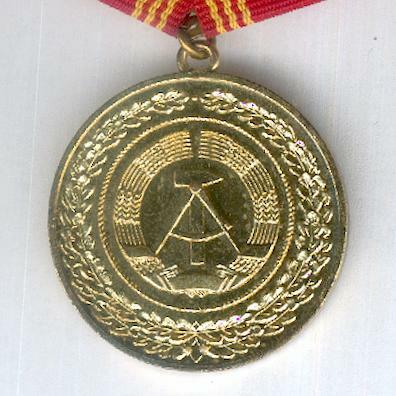 The notorious Volkspolizei (‘VoPos’) were a national military force, rather like the French gendarmerie or the Italian carabinieri, but tasked with enforcing the will of the Communist government.